Are you looking to incorporate a little bit of technology into your math block? These Power Point slides can be used in Power Point or by saving them to Google Slides. 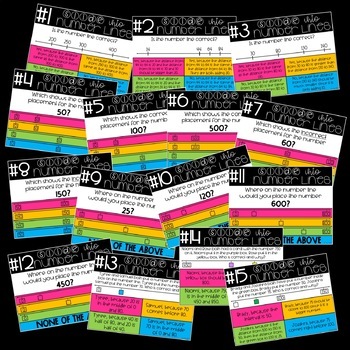 Display the slides through your projector, or print the questions out to use as an activity. In each Power Point there are 15 slides with four answer choices. You can use the recording sheets or clip chart for your students to actively participate with the word problems and classroom discussions. These can be used as a math warm-up, whole group activity, math station, or independent activity. Many of the questions incorporate higher-order thinking skills so they are great for a unit review or classroom discussion. 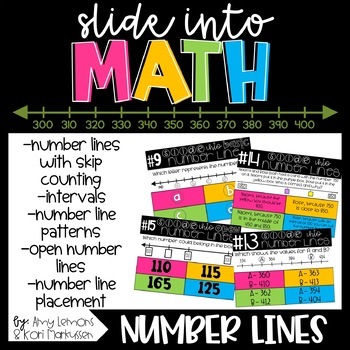 Slide into Math is created by Amy Lemons and Kori Markussen. Check out the preview to see everything that is included! For More Math Power Points Check out Below! Please Note: These Power Points are NOT editable. We also will NOT be bundling any of the Slide into Math units until we feel like all concepts are finished! These cannot be translated or edited. Thank you!